Jiiva has more than what we wanted on his plate. With four films lining up for release, his movie with KV Anand 'KO' was slated for a Diwali release. But with delays in shooting, it is now rumored that KO may not be released for Diwali. The delay could also be because Jiva's Singam Puli is also releasing on Diwali's eve. Director KV Anand is giving final touches to the movie and Harris Jayaraj's music will be released in the second week of November. With a whole lot of movies like Manmadhan Ambu, Kaavalan, Vaanam, Utthamaputhiran and Aadukalam scheduled to be released in November-December, it will be interesting to see where KO fits in. 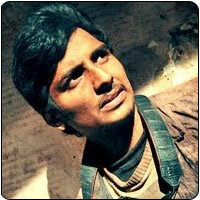 KO has Jiiva playing the role of a photo-journalist and Karthika as the female lead.